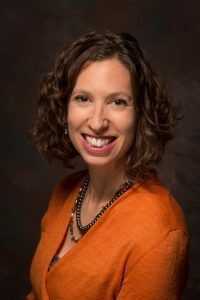 In this half-day workshop, Leah Goldstein Moses of The Improve Group (St. Paul, MN) will guide you on how you can use data to tell your story and engage your stakeholders. Through evaluation, we can learn, identify opportunities to improve, and share data with others. Evaluation also has untapped potential to help you engage people in supporting your mission – by incorporating their perspectives in your programs and giving them great stories to relate to. Designed for all nonprofit professionals, including those working in development, grant writing, program management, and marketing, as well as for board members, this hands-on workshop will engage you from beginning to end. Participants can expect lots of examples and a comprehensive list of ways to collect data, plus time for networking, inactive activities, and take away items. Leah Goldstein Moses is the Founder and CEO of The Improve Group, an international firm focused on evaluation, research and strategic planning. Over the last two decades, she has helped local, community-based organizations, statewide agencies, and multi-national nonprofits uncover information and improve their programs. She teaches and speaks on evaluation for audiences across the country.